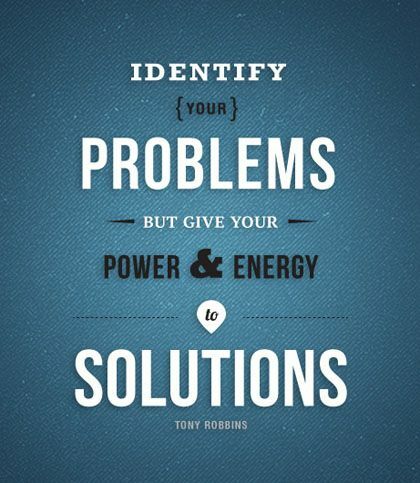 Be a solution finder! Starting today, whenever you are faced with a problem… take a moment to reflect on the issue and come up with every possible solution. When you present the problem to your colleague(s) or supervisor, tell him/her that you’ve discovered a problem and have come up with a series of solutions rather than relying on them to do all the work. Take initiative! The end result is you’ve worked TOGETHER to determine the best course of action.